New Zytek high-efficiency electric powertrain selected for Yamaha’s innovative MOTIV.e city car concept. 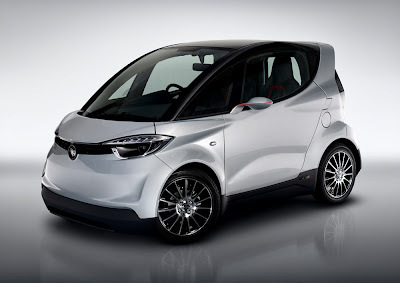 Yamaha’s new MOTIV.e city car concept, shown at the Tokyo motorshow, will be powered by an advanced electric drive from Zytek that employs a range of new design approaches to minimise the cost, weight and size of the system while maximising the performance and range. By supplying a number of core high voltage components as an optimised system, Zytek is also minimising the time required for vehicle development. 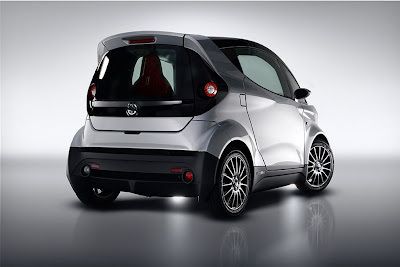 MOTIV.e comes from the partnership between Yamaha and Gordon Murray Design, using Murray’s revolutionary iStream® manufacturing technology to deliver a highly efficient yet fun-to-drive electric vehicle at an affordable price. Zytek’s sales and marketing director, Steve Tremble says that taking a fresh approach to the powertrain is central to achieving these goals. Zytek supplies the electric motor, paired with a reduction gearbox from Vocis, and the electronic vehicle control module (EVCM) which provides the interface between the powertrain and the rest of the vehicle. The low cost power electronics is manufactured in high volumes by Zytek’s technical partner Continental. In keeping with the light weight and high efficiency targets for the MOTIV.e, the 25kW motor revs to 15,000rpm, much higher than comparable units, and drives through a single-speed reduction gearbox to give the required wheel speed. Increasing motor speed allows the electric engine to be smaller, lighter and more cost-effective than previous-generation units. The Zytek EVCM is unique, being built on an electronics platform that duals as a development tool and a cost-effective production unit complying with all relevant automotive standards. Zytek says that unlike other dual-purpose systems that are suitable for production, their unit is cost-competitive with bespoke production technologies. It is also thought to be the only EVCM that takes a big further step in powertrain control integration by including thermal management within the decision-making algorithms.